Q: Is a grain-free diet healthier for my dog and cats? 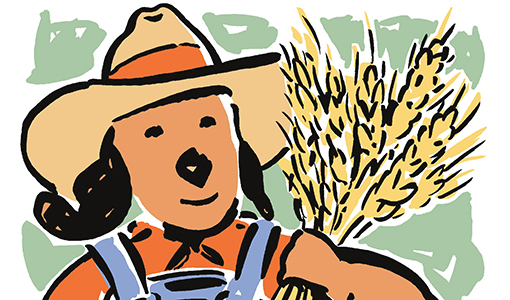 A: Grain-free diets are one of the largest-growing segments of the pet food market. More and more pet owners are choosing these diets, which are billed as more natural and less likely to cause health problems and allergies. It all sounds great—except that those claims are not true. Whole grains contain valuable dietary nutrients, including vitamins, minerals, essential fatty acids and fiber. Some grain products have protein that is easier for your pet to digest than some meat protein. Even refined grains, such as white rice, can be beneficial for your pet’s health, depending on the type of diet and the pet. The vast majority of dogs and cats are very efficient at digesting and using more than 90 percent of the nutrients from grains in the amounts typically found in pet foods. While food allergies in pets are uncommon, allergies to grains are even rarer. The small number of pets that have allergies are most often allergic to animal proteins, such as chicken, beef and dairy. Gastrointestinal symptoms caused by consuming gluten have been confirmed in just one inbred family of Irish setters. Other pet food companies use such ingredients as peas, beans or lentils instead of grains to provide carbohydrates, but these ingredients are not necessarily any better for your pet than grains and may cause digestive upset in some animals. Please email your questions for Ask the Vet to Genevieve Rajewski, the editor of this magazine, at genevieve.rajewski@tufts.edu. Because of the volume of inquiries, we cannot respond to all submissions. For any pet health issue, owners should contact their veterinarian. You can find more answers to common questions about pet nutrition from the Tufts Clinical Nutrition Service at vetnutrition.tufts.edu/petfoodology.